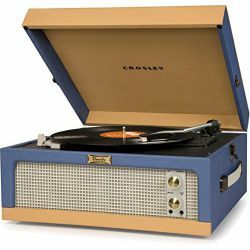 A T100 evolution, Crosley T150 is the result of the new program of the historic Luisville, Kentucky, based brand aimed at bringing a superior level of audio reproduction quality, unmatched in the same price range. 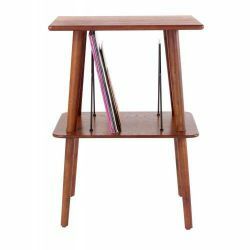 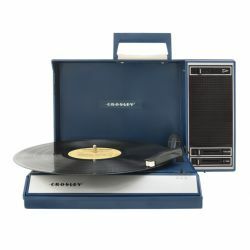 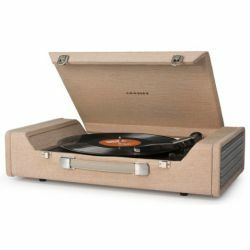 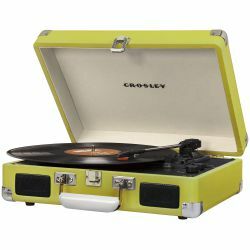 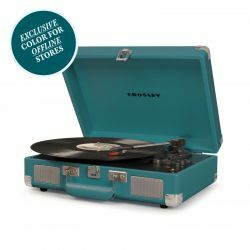 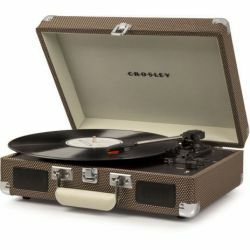 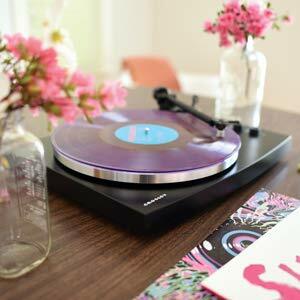 Crosley T150 is a complete console system with turntable, amplifier (integrated) and speakers. 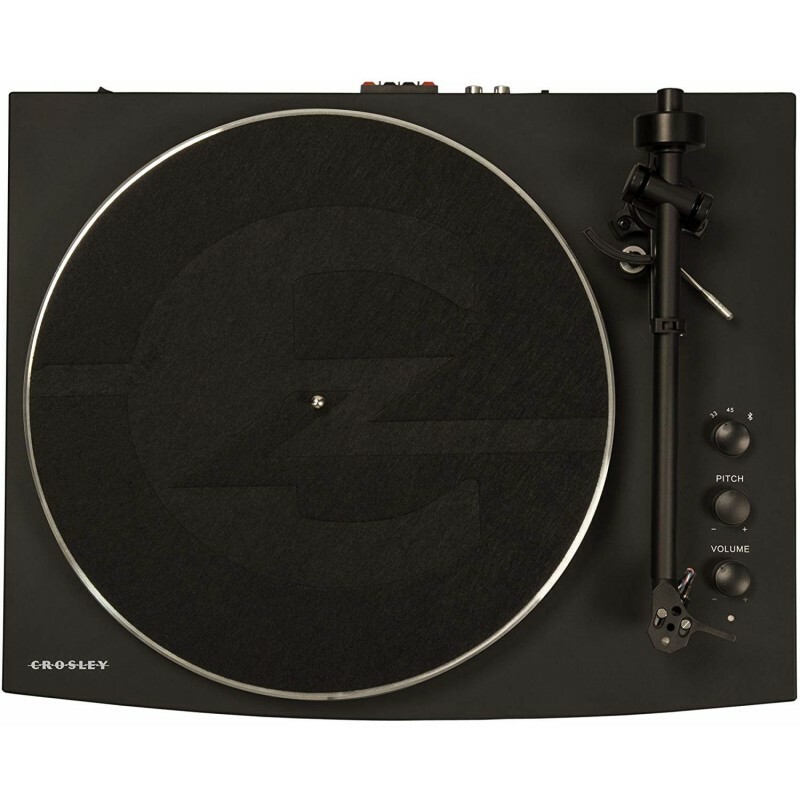 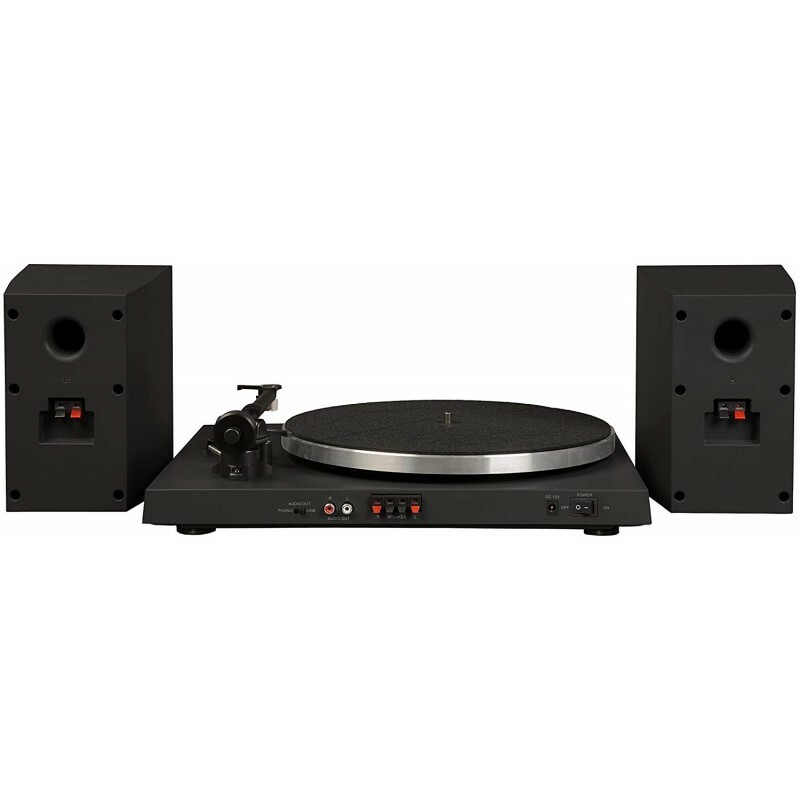 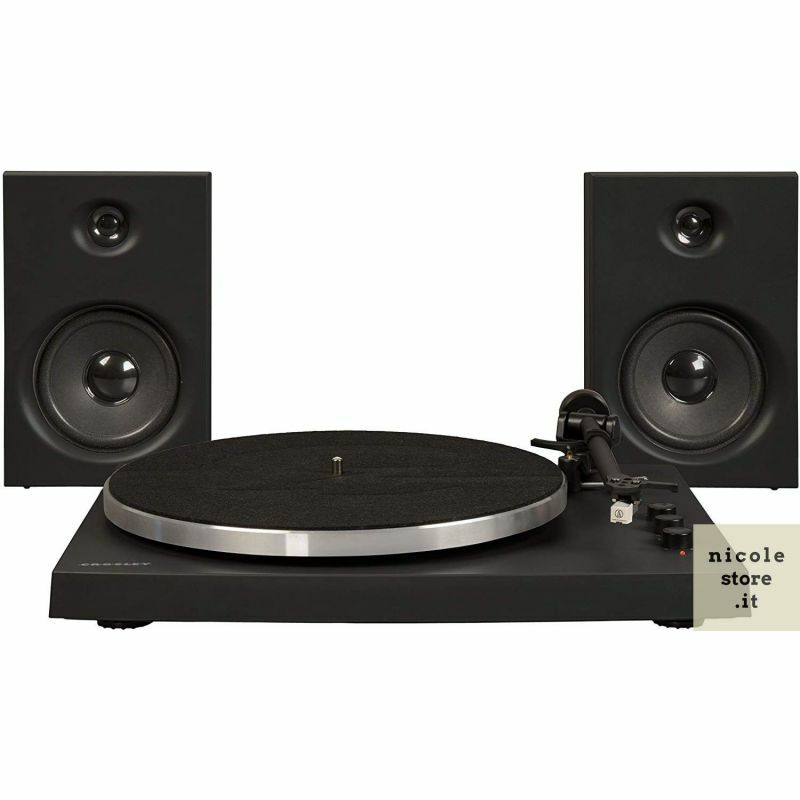 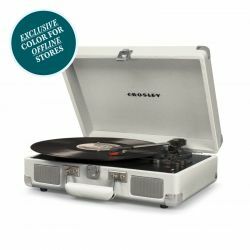 Crosley T 150 is a 2-speed turntable with a matte black anti-fingerprint finish, a balanced forged aluminum plate, adjustable metal counterweight arm, Bluetooth, 30W integrated amplifier, RCA output and pre-amplified RCA output. 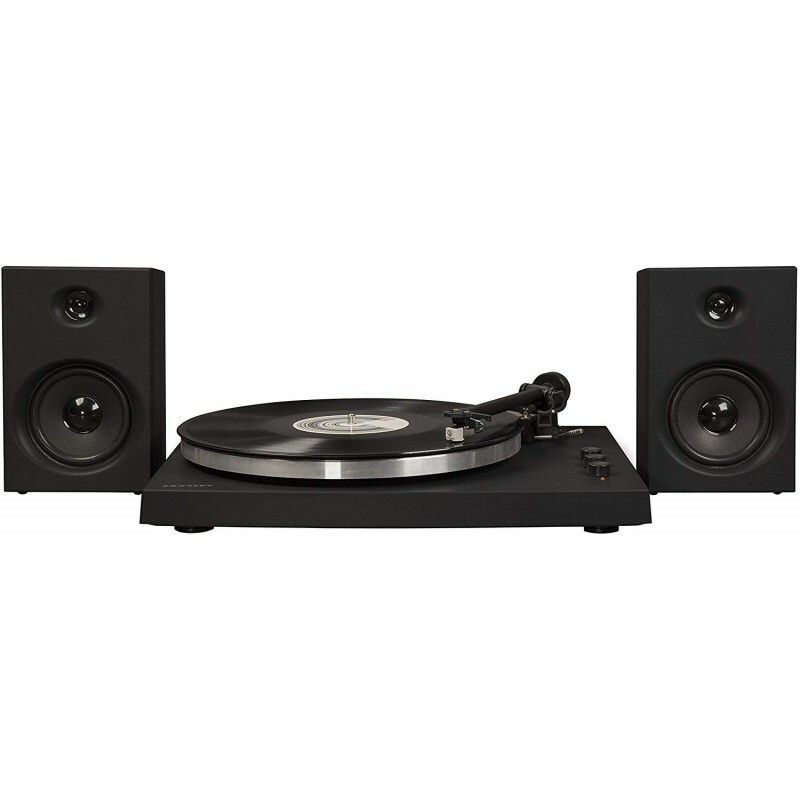 The speakers of the T 150, with a tweeter and a speaker each, allowing you to create a perfect 30W Rms stereo 2.1 setup. 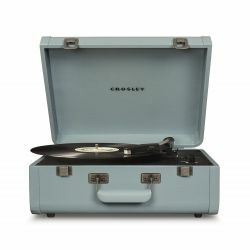 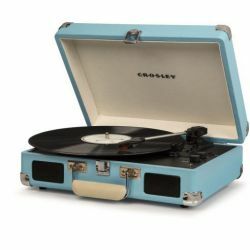 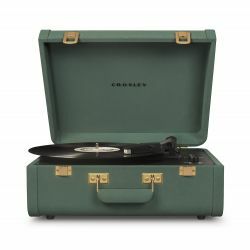 A high-end turntable, in a compact form factor, the Crosley T150 is the only high-fidelity plug and play system ready to listen at its price range. 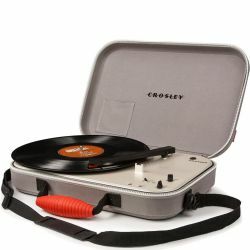 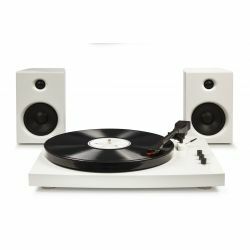 Just take it out of its box, connect three cables, including the power supply, and start your listening experience. 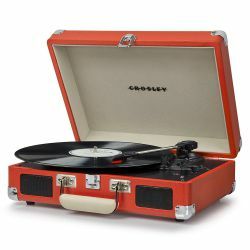 Crosley T150 is a complete console system with turntable, amplifier (integrated) and speakers. 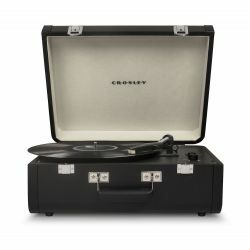 Crosley T 150 is a 2-speed turntable with a matte black anti-fingerprint finish, a balanced forged aluminum plate, adjustable metal counterweight arm, Bluetooth, 30W integrated amplifier, RCA output and pre-amplified RCA output. 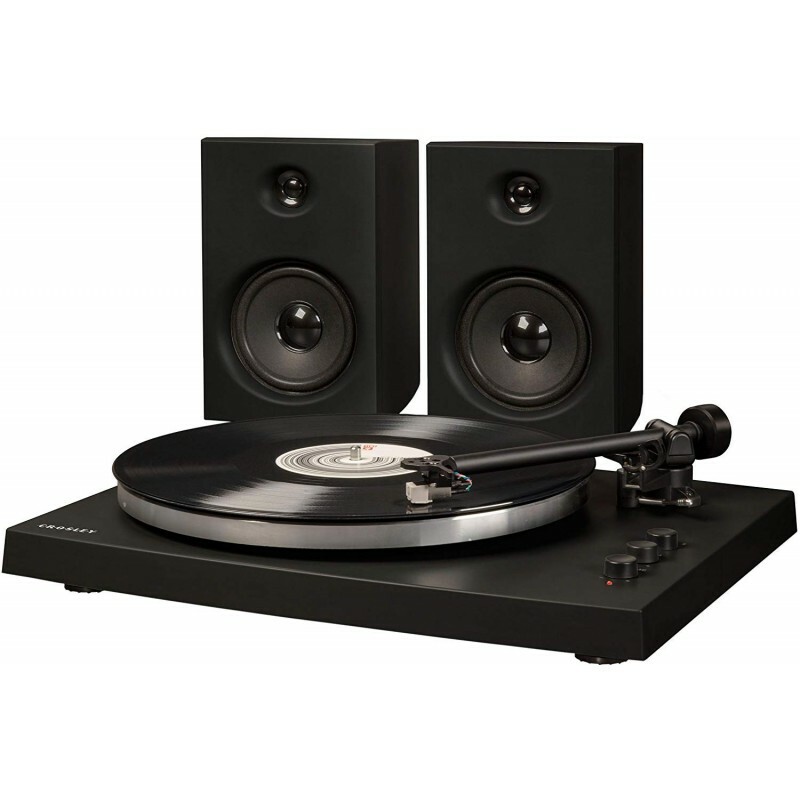 The speakers of the T 150, with a tweeter and a speaker each, allowing you to create a perfect 30W Rms stereo 2.1 setup. 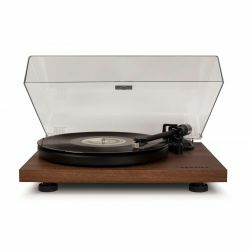 Among the important updates on the basis of which the T150 was developed from we emphasize the professional quality Audio Technica stylus, included with all purchases at this online store or at the store, the alluminium arm with adjustable counterweight and anti-slip device, the full size balanced plate (LP) in forged aluminum and a more refined design, with matt black anti-fingerprint paint. 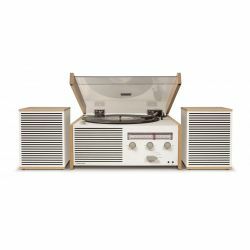 Un sistema di giradischi completo e facile da installare. 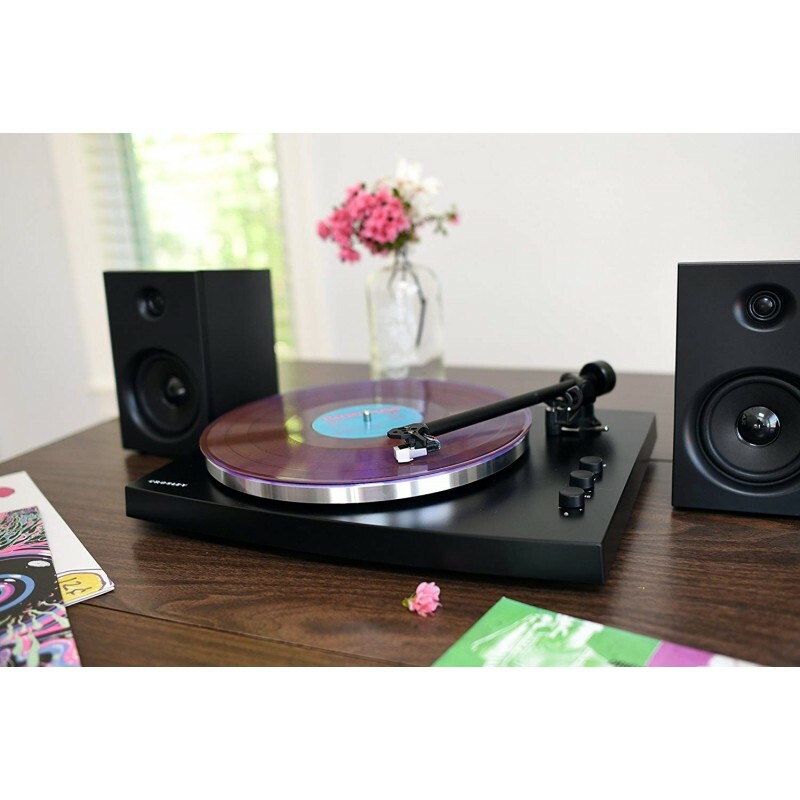 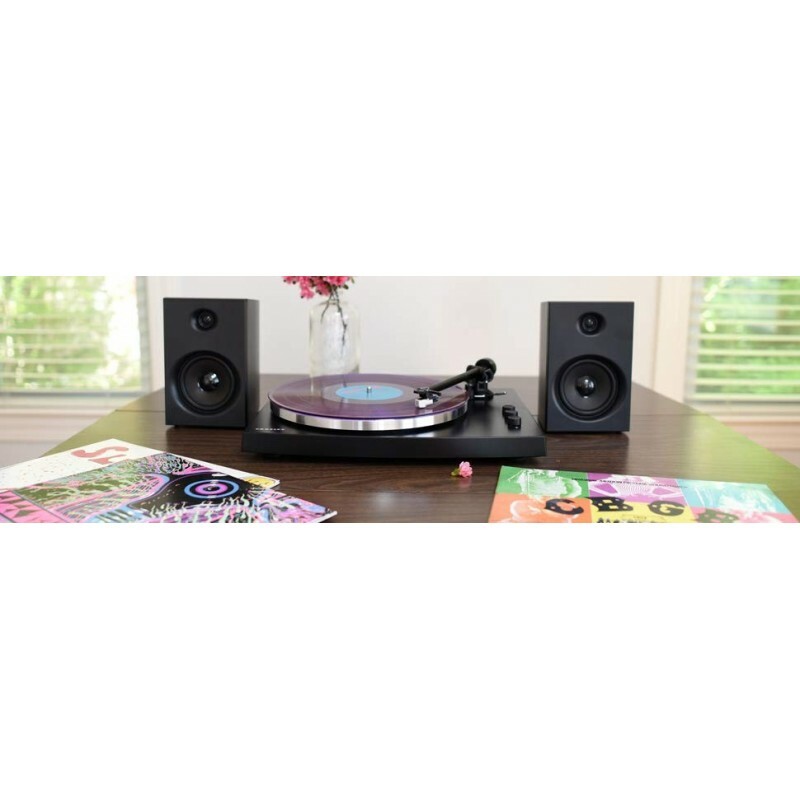 Whether you're enjoying the warm vinyl sound or streaming digital music via the built-in Bluetooth receiver, the included stereo speakers offer 30 Watts Rms of crisp, loud and round sound. 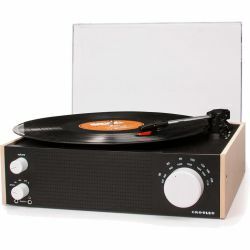 The integrated switch-activated preamplifier allows you to easily connect any stereo component of your choice, from other devices with RCA connection to portable speakers and boomboxes with a 3.5mm 1/8 inch mini Jack connection. 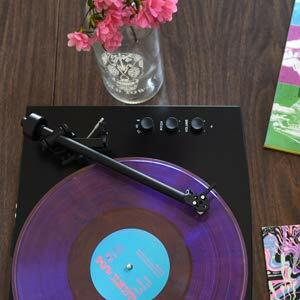 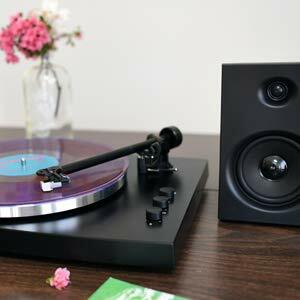 Take control of your analog listening experience thanks to the pitch control knob, thanks to an aluminum arm with adjustable counterweight and thanks to a RCA output that allow you to connect the turntable to any other pre-existing audio system. 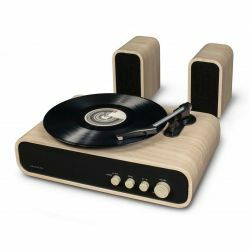 The other knob on the dashboard allows you to switch between rotation speeds per minute (33 1/3 and 45 rpm) and the Bluetooth mode. The Audio Technica moving magnetic needle is installed and aligned directly at the production place, but uses a standard 1/2 inch connection and allow future replacements. 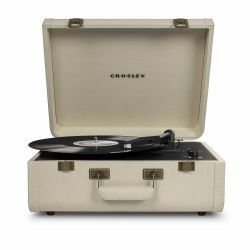 Do not be fooled by the minimalist silhouette and clean lines of this turntable: the Crosley T150 is equipped with all the features you might want in a turntable.